I know what you’re thinking – Dennis Hopper… Dennis Hopper the actor? The one who tried to blow up Keanu Reeves on a speeding bus before coming a cropper atop a subway train? Indeed, Hopper was a keen photographer in his twenties and early thirties and this exhibition at the Royal Academy combines over 400 pictures taken between 1961 and 1967, a period of incredible social change in America particularly, and capturing subjects as diverse as the Civil Rights Movement, Mexican cowboys, hippy festivals, Hell’s Angels and 60s celebrity. This is very much Hopper’s exhibition in every sense, not just his photographs and history, but it replicates an earlier showing of this work curated by Hopper himself in 1970 before he hung up his tripod and devoted himself to becoming the acting megastar we came to know. As a social documentary this is fascinating and although it is by no means in chronological order, you do get a sense of Hopper’s development as a photographer. Oddly some of the best pictures are at the very end of the exhibition where he simply pointed his camera at the television and snapped two of the most significant events of the twentieth-century – pictures from the moon’s surface and of Kennedy’s funeral. What was he doing? Well, either he is making a profound statement about the circular relationship between society and the media, or more likely in the days before widely available recording equipment, Youtube and DVDs he was recording crucial moments in the only way he could. You get the sense that crucial moments feature a lot in this exhibition, although it’s not always clearly defined. What would have been fresh and instantly recognisable to an audience at the original exhibition with only 10 years to look back on, at a distance of more than 40, and for the most part thousands of miles from where these things took place, you can lose any sense of their meaning. Of course you’ll recognise Martin Luther King and the rallies for the Civil Rights Movement, as well as being impressed by Hopper’s ability to place himself on the cusp of political change, but our knowledge of some of the other activities, as well as the people involved has settled into a cosy nostalgia. For those born much later it’s harder still given our knowledge of those times comes primarily from inaccurate TV and films, so the struggles, danger and likelihood of failure are palled by the years. The winning of those greater rights for all regardless of gender, race or class are now so taken for granted that it is genuinely difficult to picture a world without them and the huge risks run by trying to win them. What would have helped here is more contextual information about the world in which these photographs were taken. They are divided into particular themes, and it’s not always clear what these are – for example a photograph of one of Hopper’s friends standing in front of plates of wedding cake sits in what seems to be the celebrity-mates section, while another picture of the same cake is among the abstract images, yet both clearly relate to the same place and time which we learn nothing about. Nor do we learn much about the people in the pictures or even about Hopper himself other than his diverse subject interest and a sense of his lifestyle. The curators here could have tried to supply some of those missing links for a modern audience and helped us interpret not just the thematic structure of the rooms, but also how well Hopper’s images have lasted as a testament to those experiences. I’m assuming this is once again in an overpriced exhibition guide that you’d be expected to buy in the shop. The vintage prints themselves are interesting and although Hopper can’t claim to be a particularly technical or distinct photographer, there is a valuable documentary feel to some of this work. Alongside the political stuff, the depiction of a bull fight across several images is fascinating, if unpleasant, capturing both the danger and speed of the sport. The Royal Academy isn’t known for its photograph exhibitions and the display here isn’t entirely successful. The cases look rather old-fashioned and spreading this across 3 cavernous rooms is a mistake because you lose a sense of intimacy that the pictures are trying to convey. I did leave feeling slightly underwhelmed and not a little disappointed. That’s not really Hopper’s fault, and given the passage of time since these were first displayed, the RA could have done much more to make this a valuable tool for visitors of all ages. It’s certainly a coup for them to have a celebrity exhibition but you have to ask yourself whether being interesting is enough, shouldn’t it mean something as well? Dennis Hopper: The Lost Album is at the Royal Academy until 19 October. Admission is £11 (including donation) and decent concessions are available. Amidst the national remembrance for the First World War, it’s easy to forget that 2014 also marks the 300th anniversary of the Hanoverian monarchy in Britain. Following up on the British Library’s exhibition early in the year, the Queen’s Gallery at Buckingham Palace has rooted around in the archives and put together a fascinating collection of rarely seen treasures which give us an insight into cultural, political and dynastic life in Georgian England. The exhibition is divided into several sections; the first understandably is a selection of individual and family portraits of the Georgian royal families, just to give you a sense of who everyone is. There are lots of nice pictures here and a hint at how marketing the family ideal was done in the eighteenth-century – this was after all a new and foreign monarch who needed to be portrayed as being just like his British subjects. Things get considerably more interesting after this, both in terms of the themes of Georgian life that we’re shown and the diverse content of the Royal Collection. The section on new modes of architecture and landscaping places original floor plans for great houses and gardens alongside paintings and sketches of the finished product. We see which rooms were designed for specific contemporary purposes including how to display its owner’s taste and education, as well as seeing interior rooms or galleries as they were. It’s a fascinating insight into the planning and building of great houses, and into the romantic way in which the finished product was presented to the world. But if you think eighteenth-century Britain is all about culture and art, then the next section quickly reminds you that throughout the early Georgian era the first two monarchs were beset by political instability and the threat of war from the displaced Stuarts. Original battle plans are shown alongside maps, portraits of generals and other war-related items including some original weapons. It’s a clever reminder that for all our notions of polite society at this time, there was still a quite serious struggle to gain legitimacy for the new regime. And it certainly makes you look back at the previous two sections as clever marketing designed to create a sense of progress, refinement and stability at time when the latter could not be guaranteed. In the third section we see more about society outside the royal circle, with the centrepiece being prints of Hogarth’s Marriage-a-la-mode showing a couple’s journey from a money-based arranged marriage to adultery, poverty, murder and death. The same is true of A Harlot’s Progress, also seen here, showing the corruption of a young girl which again leads to dissipation and death. On the surface Georgian England was obsessed with taste and lineage but underneath it all, human vice remains ever present. This certainly adds another dimension to the painting of the party-atmosphere in St James’s Park with people carousing happily throughout. At least Canaletto’s beautiful pictures of the Thames show the changing architectural shape of London without comment on the moral dubiety of London’s inhabitants. After this you move into several other rooms which are clearly part of a permanent collection but the gallery has spun them to make it seem like they’re 18th century related. For a start all the walls up until this point have been a Wedgwood cornflower blue shade and now they’re red and green. Most of it is from the Charles I and II era with notes saying this was all highly collectable in the eighteenth-century. There are interesting pieces of furniture, portraits and even some crockery, but you can tell it’s not part of what we saw before. Nice try Royal Collection but we’re not fooled – clearly the main exhibition is over and this is other stuff. But its ok, we don’t mind. So the genuinely Georgian bit of this exhibition is really interesting and great to get an alternative perspective on events, showing not just this cultural change, but also the political and international dimensions to the first two Georges. Be warned it took me two attempts to get into this, and the second time I had to book, but it is worthwhile. And the permanent collection at the end is worth a wander too – it is included in the ticket after all! There are still a couple more weeks to enjoy these rarely seen pieces, cleverly curated to shed light on the first half of the eighteenth-century and showing us how the balance of international politics and skilful marketing laid the foundation for a new monarchical house. The First Georgians: Art and Monarchy 1714-1760 is at the Royal Collection until 12 October and tickets are £9.75 with concessions available, but do book in advance. 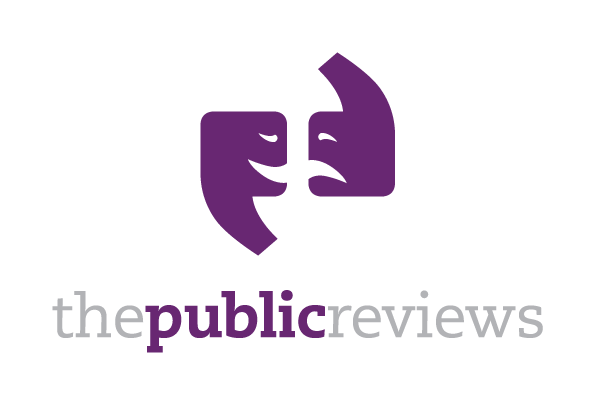 First published on The Public Reviews website. Genuinely novel interpretations of A Midsummer Night’s Dream are few and far between, it’s even rarer to find one that wholly dispenses with the original text, throws in some musical numbers and transports the entire thing to the mythical perfect summer of 1913, a year before the outbreak of the First World War. People can get very precious about Shakespeare, especially new-fangled productions, so it can be a risk. Yet this revival of The Dreaming (first performed in 2001) in the round at The Union Theatre incorporates all these elements to provide an entertaining evening that offers new insights into a well-worn play. The plot is familiar, young lovers, now renamed Charlotte (Hermia), Alexander (Lysander), Jennifer (Helena) and David (Demetrius), run off into the woods pursued by Charlotte’s father and the local Lord of the Manor. There they become unwittingly embroiled in a domestic spat between the King and Queen of the Woodland Folk and for one night in the dark forest lives are turned upside down. One of the most interesting things about The Dreaming is the fresh perspective it takes on a number of the key characters particularly the Woodland folk who replace Shakespeare’s fairies. They are not the usual fey, floaty beings playing tricks for fun, but a tribal group of prowling creatures who harass any who cross their path. Syvia’s (Titania’s) retinue crawl onto the stage, somewhere between a female version of Peter Pan’s Lost Boys and Macbeth’s witches, shortly followed by their male counterparts who have a similar earthy nature, but are scared of their master’s wrath – an additional twist. Another clever plot device is to give Jack (Puck) some proper motivation rather than just a mischievous nature. Here instead Jack is a runaway Blacksmith’s son who wants to join the male Woodlanders’ tribe and so he must complete an initiation rite – finding the drugged plant and bewitching Sylvia. It’s a unique approach and really helps to keep the story on track. The Rude Mechanicals led by the local vicar are, by contrast, hilarious and although many productions run out of steam after the lovers are returned to normal, their staging of St George and the Dragon at Lord Julian’s birthday party is an absolute treat. One of the real successes of this production is how all these tiny innovations are used to add to the humanity of the characters without veering too far from the original story. It really is a team performance with equally enjoyable and distinct contributions from the leads and chorus. The Dreaming is simply staged with a few make-shift trees, but uses clever lighting to denote changes in day, mood and tone. There is a high energy-level throughout as characters run alarmingly around the audience, making full use of the space as well as ensuring the action is visible from all angels – full credit to Paul Clarkson for some nifty directing here. Most of the songs also seem quite fitting, giving the audience a nice mix of romantic ballads, rousing comedy tunes and big ensemble set-pieces. Sometimes the words get a bit lost in the music and it is clear that some cast members are primarily singers, but the merging of solo performances and multi-character songs is nicely balanced. It is great to see a version of A Midsummer Night’s Dream that does not shy away from the darker aspects of the play and that is the greatest strength of this production. So rarely does a period setting suit a play but Edwardian England is consistently realised and used to subtly reinforce the theme of dreams and reality. It may be happy endings all round for now, but in a year this generation will face something much more destructive than the Woodlanders’ mischief. In fact, this sense of darkness as a counterpoint to light is clear throughout and no happy moment remains untainted by shadows of what is to come. This production of The Dreaming has bags of charm and is lots of fun, but its inventive take on one of Shakespeare’s most famous plays will leave you in no doubt that the Larkin poem printed in the programme is right – ‘Never such innocence again. The Dreaming is at the Union Theatre until 27 September. Tickets are £20 or £17 for concessions. As the summer theatre season draws to a close, A Streetcar Named Desire is just about the last of the big-name productions that has elsewhere seen film stars Bill Nighy, Carey Mulligan and Kathleen Turner pitch up on the London stage. A sell-out before it opened at the Young Vic, Gillian Anderson’s Blanche Dubois was hotly anticipated and widely praised, with critics unanimously hailing it the performance of a lifetime for her. Written in the late 40s, Tennessee Williams’s most famous play is the story of Blanche who has lost possession of the family home and comes to stay with her sister Stella in a New Orleans tenement block during a hot summer. Blanche’s refined manner and romantic ideals are at odds with Stella’s macho husband Stanley and the two engage in an intense battle of wills. As the claustrophobic atmosphere of the tiny flat sets in, the truth about Blanche and her history emerges with dangerous consequences. The most striking thing about the Young Vic’s production is its modern setting, bold use of coloured lights and slowly revolving set which gives the entire audience, seated in the round, a chance to see Stella and Stanley’s apartment from every angle. The design, by Magda Willi, is a simple kitchen, bedroom and bathroom with a gauzy curtain which can be pulled across the centre to form semi-separate rooms. Scenes are dazzling lit in bold purples, greens and yellows – no coincidence in this world of domestic violence that these act as symbolic bruises. The rotation in some sense adds a great deal, both reinforcing the growing instability of the central relationships and bringing things in and out of focus, while acting as marker for significant shifts in tempo. It speeds up at moments of high drama, particularly when Blanche and Stanley are alone, or the spin changes direction suddenly to increase the disorientating effect. The movement also gives a sense of the characters being on that titular Streetcar, unable to alight until it reaches its final destination – reinforcing that the battle between Blanche and Stanley is being fought to the end. It has its downsides of course; you do miss bits of the action, and sometimes the words, because bits of stairs or kitchen block your view. This did happen several times at crucial points which was frustrating and actually a little alienating. Needless to say Gillian Anderson is spectacular as the troubled Blanche. She totters around in enormous heels and big sunglasses, playing the southern belle with a girlish ease. Yet, for all her simpering mannerisms, there’s something of the predator about her as well, dark and threatening. She all but inhales the boy who comes to the door, and parades wantonly in front of the thin curtain as she gets undressed near Stanley’s poker game. Anderson’s vocal control is very impressive moving effortlessly from giggling flirtation to sultry seductress, and then as Blanche is overwhelmed by the truth and begins to lose her grip, she shows her drunkenly clinging on to the tatters of her character and not quite sure which of her identities to assume. This is the real strength of Anderson’s performance, you can never quite tell which version is the real Blanche – lady or temptress – and as these two personalities merge and then splinter, neither does she. Despite Vanessa Kirby’s variable accent, her Stella does a good job of conveying her obsessive love for her husband and how her loyalties are tested by her sister’s visit. You certainly get the sense that something shifts in their marriage during the course of the play and it will never be quite the same. Ben Foster’s Stanley is imposingly macho, quite capable of crushing the fragile Blanche, yet somehow unable to entirely outwit her. I didn’t quite believe in his irresistibility however and it would have been interesting to explore the class dimension in his performance – the extent to which Stanley is out of his depth with people with different backgrounds and aspirations which could add an extra layer of vulnerability to his clash with Blanche. I have to admit to feeling a tiny bit disappointed when I left the theatre but that’s because my expectations were perhaps unrealistically high. Their earlier version of A View From the Bridge was so powerful that I was thinking about it for hours afterwards. I thought I’d feel the same about Streetcar, and while this is an all-but-perfect production the occasional alienation from the action meant it didn’t quite blow me away as I’d hoped. But it certainly deserves its unanimous plaudits and is absolute must-see theatre, particularly for Anderson’s astonishing Blanche that really overshadows everything else. There’s a daily ballot for tickets at 5pm (1pm for matinees) so put your name down every day until you get in. If not, then NT Live are wisely broadcasting it to cinemas on 16 September. This may be the end of the season but this exciting production will send it out in a blaze of glory. A Streetcar Named Desire is at the Young Vic until 19 September with a £20 daily ticket ballot drawn at 5.30pm (put your name down at 5pm). It will be broadcast to cinemas via NT Live on 16 September.